The sit-ins were very significant to the movement. They symbolized a change in the mood of African-American people. Up until then, we had accepted segregation — begrudgingly — but we had accepted it. We had spoken against it, we had made speeches, but no one had defied segregation. At long last after decades of acceptance, four freshman students at North Carolina A&T went into Woolworth and at the lunch counter they "sat-in." When told they would not be served, they refused to leave and this sparked a movement throughout the South. Black students in colleges throughout the South saw it on television they said "Hey man, look at what our brothers and sisters in Greensboro are doing. What's wrong with us? Why don't we go out and do the same thing?" And they went out, so it swept across the South like the proverbial wildfire, with students rejecting segregation. With their very bodies they obstructed the wheels of injustice. 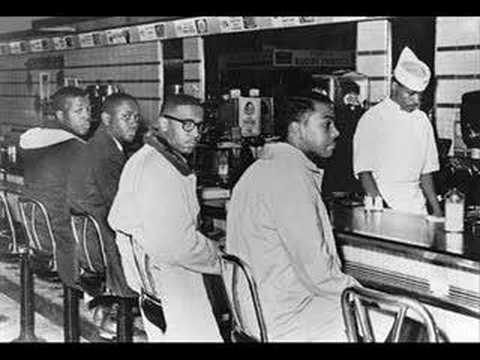 On February 1, 1960, four African American students – Ezell A. Blair Jr. (now known as Jibreel Khazan), David Richmond, Joseph McNeil, and Franklin McCain – from North Carolina Agricultural and Technical State University, a historically black college/university, sat at a segregated lunch counter in the Greensboro, North Carolina, Woolworth's store. 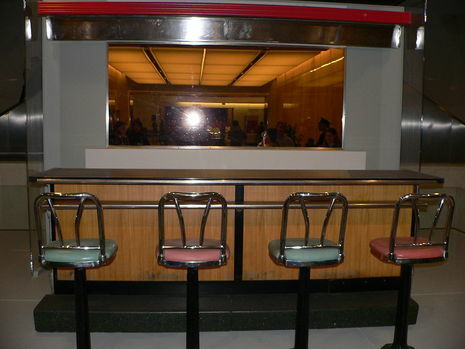 This lunch counter only had chairs/stools for whites, while blacks had to stand and eat. Although they were refused service, they were allowed to stay at the counter. The four students were aware that Woolworth’s would not serve blacks at their lunch counter but they sat down anyway, engaging themselves in a plan they had been discussing for a month prior to the sit-in. When notified by one of the waitresses of the events that were occurring in his store that February afternoon, the store’s manager C.L. Harris first told his staff to leave the students alone, hoping they would eventually leave. However, Harris grew nervous that violence would soon ensue so he went to the police. Although he did not have the men arrested, assuming their demonstration would soon end, he did have several police officers stationed in the store.